Ford has added yet another SUV to its burgeoning crossover line, announcing that the Puma will debut in Europe before the end of 2019. Designed to sit in between the unloved EcoSport and the Escape/Kuga, the Puma is built on top of Ford’s older Fiesta platform, rather than the new C2 platform that sits underneath the just-announced fourth-generation Escape and the new Focus. Teased at a Ford event in Europe, few details about the five-seat, five-door Puma – which, at 4200mm long, will rival cars like the Renault Captur, Mazda CX-3 and others – have been revealed, but it’s been designed to provide more luggage space than others in the small SUV category. It will, for example, carry two sets of golf clubs standing upright (seems like a lot of people still play golf, right? ), with a maximum of 456 litres of space behind the second row of seats when the movable boot floor is in its lowest position. This means that the shape of the Puma is more bulbous than bold, but practicality has taken precedence. Ford revealed little about drivetrains and specs, but did announce that the Puma would use the same 48-volt hybrid system that will be used in the Focus and the European spec Fiesta, which has been discontinued here in Australia. The system, which uses braking energy to charge a lithium-ion battery pack to feed a small supplementary electric motor, will be teamed with a 1.0-litre three-cylinder turbocharged petrol engine that will power the Puma’s front wheels. The Puma name is not new to Ford; it was used on a Europe-only sports coupe (below) between 1997 and 2002. 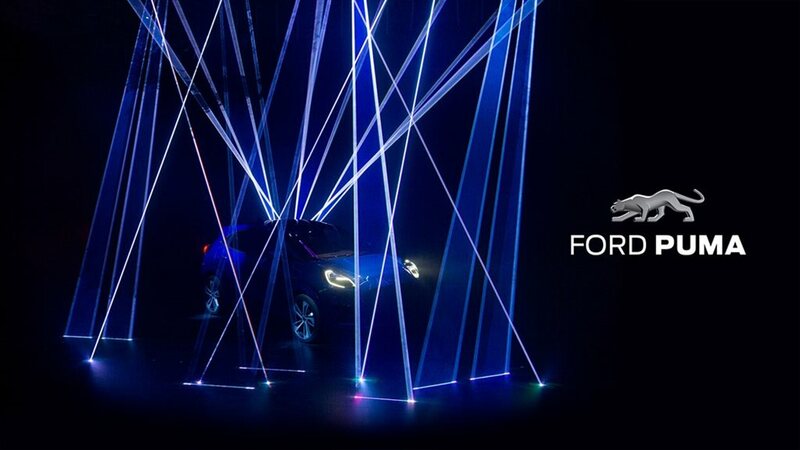 Locally, Ford Australia said that the Puma "looks great", and it was "excited" for the announcement, but had nothing else to share. If the Puma does make it down under, it will join Ford Australia’s burgeoning SUV fleet that consists of the small EcoSport, medium Endura and Escape as well as the large Everest… which may well mean the Puma might have to change its name.